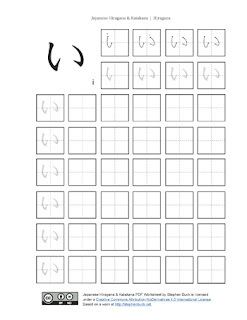 Linked below is the downloadable Japanese Hiragana PDF worksheet for letter O ( お ). 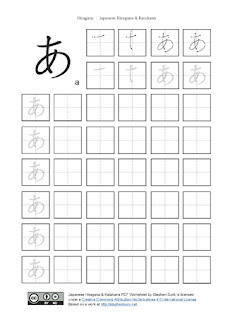 I have made this worksheet as a student of the Japanese language to help me learn to write the Japanese alphabets, and hope that by sharing it with you helps you do the same. Download the O ( お ) PDF here. 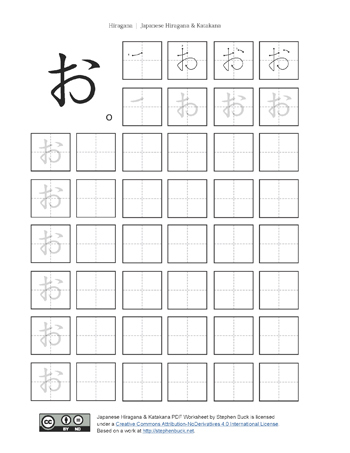 Stephen Buck is licensing the Japanese Hiragana & Katakana Practice PDF Worksheets through the Creative Commons Attribution-NoDerivatives 4.0 International (CC BY-ND 4.0) license. This means that as long as you do not modify the document, you may distribute it in any way you wish (commercial or non-commercial). Please read the license for details (it's an easy read). 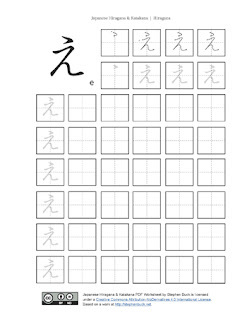 Linked below is the downloadable Japanese Hiragana PDF worksheet for letter E ( え ). Download the E ( え ) PDF here. 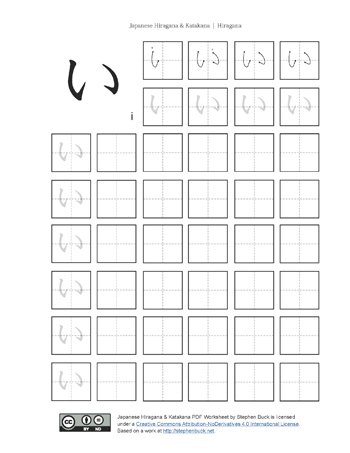 Linked below is the downloadable Japanese Hiragana PDF worksheet for letter U ( う ). Download the U ( う ) PDF here. 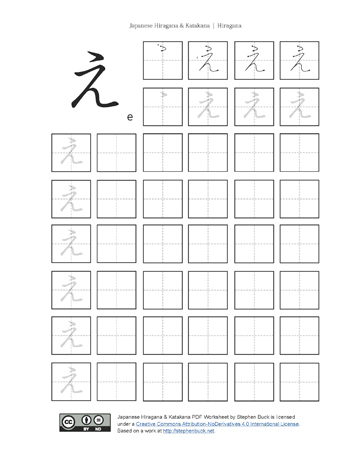 I am licensing the Japanese Hiragana & Katakana Practice PDF Worksheets through the Creative Commons Attribution-NoDerivatives 4.0 International (CC BY-ND 4.0) license. This means that as long as you do not modify the document, you may distribute it in any way you wish (commercial or non-commercial). Please read the license for details (it's an easy read). 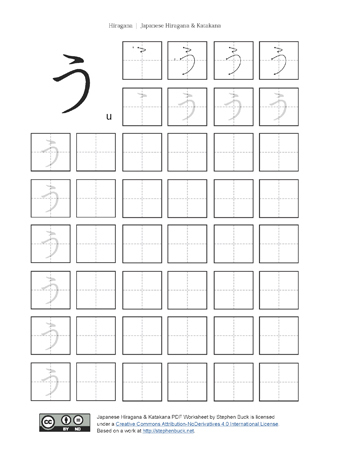 Linked below is the downloadable Japanese Hiragana PDF worksheet for letter I ( い ). Download the I ( い ) PDF here. 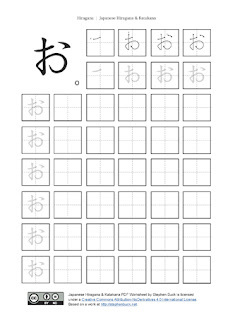 Linked below is the downloadable Japanese Hiragana PDF worksheet for letter あ (A). I have made this worksheet as a student of the Japanese language to help me learn to write the Japanese alphabets, and hope that sharing it with you helps you do the same.